I was accompanying my friend who was running an errand in Joo Chiat and we were looking for a place to have lunch. Da Dong Prawn Noodles big red signboard caught our attention and the words “since 1966” which means that this stall has over 40 years of history. 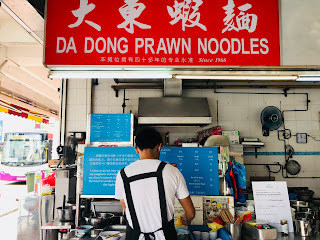 A search on Google revealed that Da Dong Prawn Noodles is pretty famous in Joo Chiat and many people swear by it. I guess popularity comes at a price which is reflected in the steep prices of the prawn noodles at Da Dong Prawn Noodle. 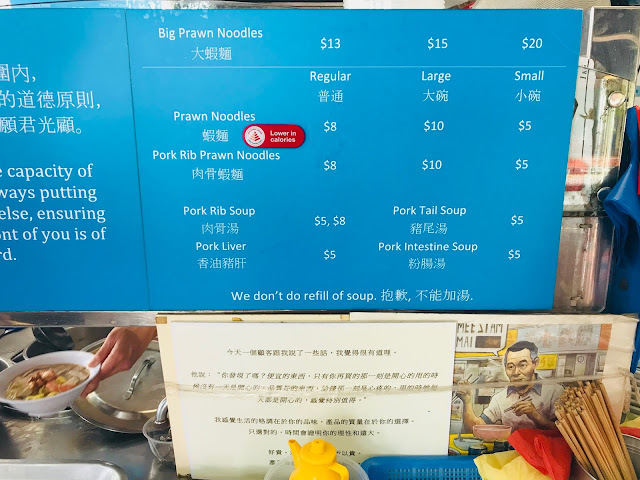 Both the original Prawn Noodles and Pork Rib Prawn Noodles are priced at $5 for Small, $8 for Regular and $10 for Large, Pork Rib Soup is $5 or $8. Pork Liver, Pork Tail Soup and Pork Intestine Soup are all $5 each. There is also the premium Big Prawn Noodles at $13 for Regular, $15 for Large and $20 for Extra Large. 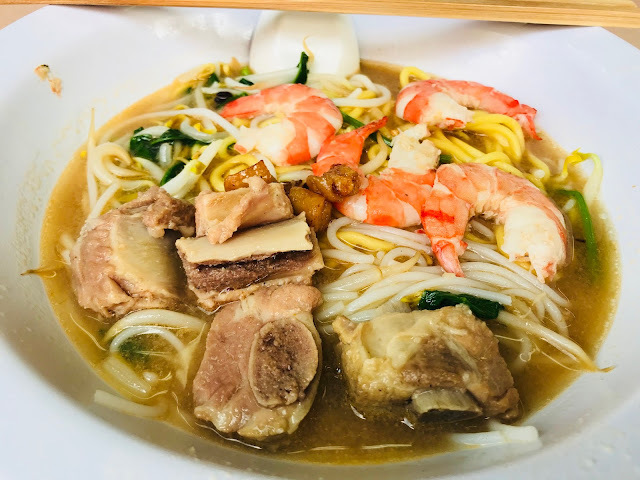 This is the Pork Rib Prawn Noodles (Large) [$10]. The bowl is big, but only half the bowl is filled. It is rather a small portion for something that costs $10. I can taste that the broth is indeed prawn broth and I believe that no MSG is used, but the broth is not as pungent as I would have liked. I am in awe of how the pork ribs can be so tender after hours of cooking. The Butcher’s Kitchen Express – Beef, Salmon and Pork Bowls at $11.90+ until 14 February 2018!